Usual price £10 per person per event. Fortnightly meet ups available to offer tips, tools and guidance on motivating yourself to achieve your goals. Feeling low, depressed or lacking in purpose perhaps, these meetings will offer practical ideas on getting you moving forward again, as well as mutual support from other people and finding new ideas and insights. Losing your will to keep moving positively toward your objectives, at home or work, is debilitating and has a huge impact on your self-esteem, confidence and anxiety levels. New perspectives, new options and new viewpoints are always helpful as part of any group support work. Book tickets on Eventbrite via Pay Pal or via the Meetup.com/Meet-for-Motivation page where you will find tips and notes already available to help you find your drive and focus again. 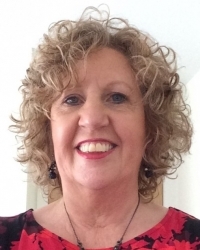 Julie Crowley is a professional coach and counsellor in Manchester and Saddleworth. Group work is an alternative to 1:1 support, motivating and encouraging people to find their drive and purpose again. Compassionate and empathic, Julie has a keen understanding of people's needs and options that might help them find the answers they need.